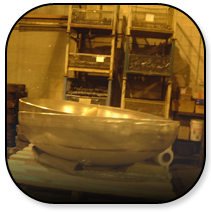 ASME Tank Heads / Tank Ends – Clark Kennedy Co. Inc.
ASME semi-elliptical heads are available in diameters ranging from 5-9/16″ to 96″; material thickness ranges from 3/16″ to 1″. Special tolerances, trimming or machining can be supplied as required. ASME flanged & dished heads are available in diameters ranging from 4-1/2″ to 168″; material thickness ranges from 3/16″ to 1″. Special tolerances, trimming or machining can be supplied as required. The diagrams show the basic shape of the semi-elliptical and flanged & dished heads along with the dimensional data required for Clark Kennedy to quote or produce a head. Asme heads can be supplied in carbon, stainless steel, and other alloys.